The movement, which has seen three members assassinated in the last year, says it has been threatened with violence by the eThekwini ANC. Social movement Abahlali, which focuses on the rights of shack-dwellers and is involved in land protests and occupations, has accused the ANC in eThekwini of threatening its members with violence. According to a statement released by the organisation, the mayor and chief whip made threatening statements at the executive committee meeting of the eThekwini Municipality on Tuesday, June 12. The movement says it takes these threats seriously, as several Abahlali leaders have been murdered in alleged political killings in KwaZulu-Natal (KZN). Sibonelo Mpeku, an Abahlali chairperson, was kidnapped and murdered in November 2017. Youth League organiser Soyiso Nkqayini was found dead in December 2017. In May of this year, another chairperson, S’fiso Ngcobo, was allegedly assassinated. According to the organisation, there have been no arrests for these murders. Two ANC councillors were convicted for the murder of Thuli Ndlovu, another Abahlali chairperson, in 2014. Abahlali has accused senior KZN ANC members of being “a serious threat to democracy and our safety”. 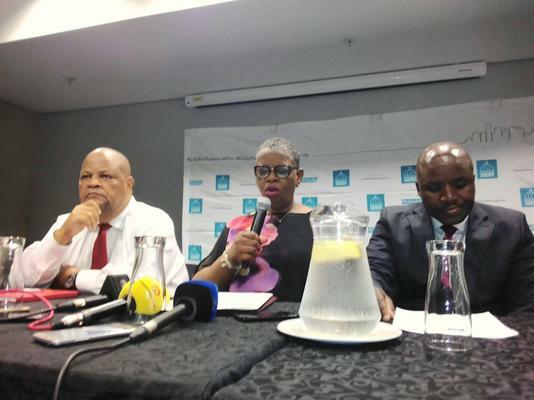 eThekwini mayor Zandile Gumede is alleged to have said there is a ‘third force’ behind the movement. Chief whip Nelly Nyanisa said Abahlali’s S’bu Zikode was “hellbent on making the City ungovernable”. She is alleged to have said: “We will deal with them,” a statement Abahlali’s leaders have interpreted as a clear threat. The movement denied that Zokode made the eThekwini ungovernable, saying he, “like all our leaders, follows the mandates worked out in open and democratic meetings and assemblies”. The eThekwini ANC was contacted for comment, and had not yet responded at the time of publication.